Rosie Danvers and Wired Strings recorded a beautiful track for the band Years and Years with producer Jim Abbiss at RAK Studios. The track also features Neil Cowley on piano, who collaborated with Wired Strings for Adele’s ‘Make You Feel My Love’ from her album ’19’. 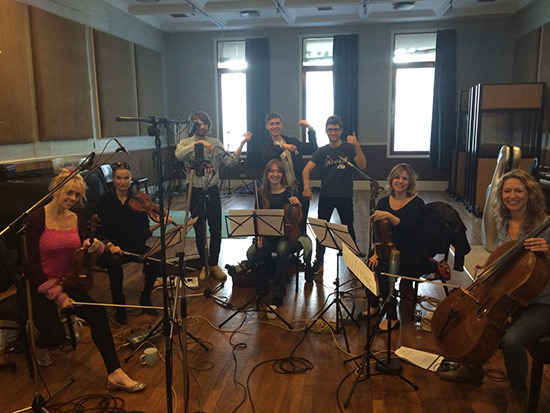 Rosie Danvers and Wired Strings with the band ‘Years and Years’ at RAK Studios, October 2014.